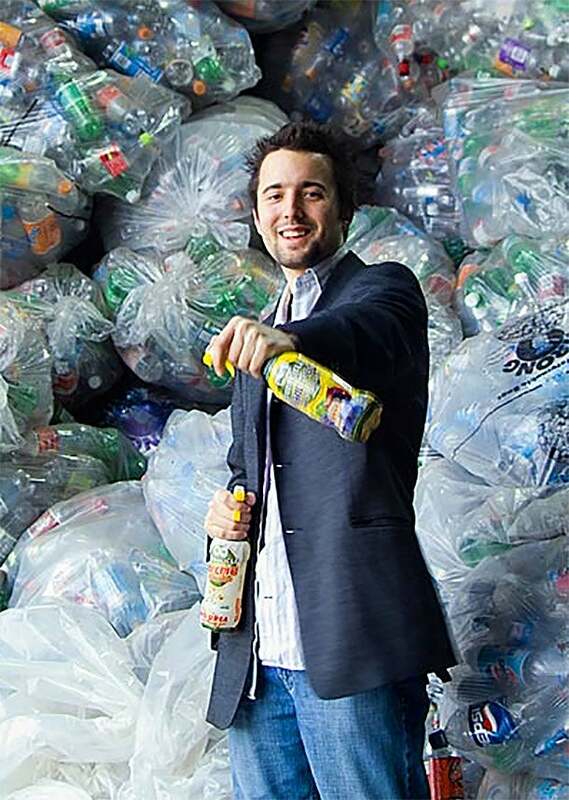 Tom Szaky didn't even try to get his product--a worm excrement fertilizer packed in a recycled bottle--into small retailers when he started TerraCycle six years ago. Instead, he reached as high as he could: Wal-Mart. "If I want to be big and do it quickly, the best way … is to work with the world's biggest companies," he says. "They can accelerate your cycle much more quickly than any other company can." The Trenton, N.J.-based company's first big partnership with Wal-Mart in Canada was just the start of what has become a $14 million business. TerraCycle now gathers unrecyclable trash and converts it into products and packaging for such big brands as Kraft, Pepsi and Mars. Last year, corporate partners spent $45 million on TerraCycle-related marketing--far more than Szaky could have ever done alone. But breaking in with big companies is no easy feat. For Szaky, it took lots of research, persistence and trial and error. "The biggest mistake small companies make is they don't do enough homework," says Brant Slade, co-author of Think BIG! : An Entrepreneur's Guide to Partnering With Large Companies (Course Technology PTR, 2009). "They think … more from the small business point of view as opposed to thinking from the large business point of view." 1. Be unique. Make sure your business pitch is carefully thought out and offers value to your potential partner. After Robin Thurston co-founded MapMyFITNESS.com, an Austin, Texas-based fitness social network that offers online routes, training and group activities, he and his partner realized they had developed a geo-location technology that bigger companies wanting online fitness tools and access to a social network could use. With their first corporate partner, Cadbury's Accelorade sports drink, they collaborated on a web interface enabling users on their site to map and share workouts. "You have to have something that is clearly valuable to that big brand that they might not want to spend the time investing in or doing," Thurston says. Now, the company also builds web platforms and mobile phone apps for brands like NBC Sports, Humana and Skechers, whose customers can opt into the MapMyFITNESS social network. 2. Remain persistent. Although Szaky had the worm-excrement-in-a-recycled-bottle market cornered, getting that first deal with Wal-Mart in 2005 still required persistence. After scouring LinkedIn and alumni networks to find the right contact, Szaky called Wal-Mart 10 times a day, every day for three weeks until he finally got through and set up a meeting. Big companies field lots of requests, so persistence is a must. "There are some brands we are working with today that literally were five-year conversations," Thurston says. 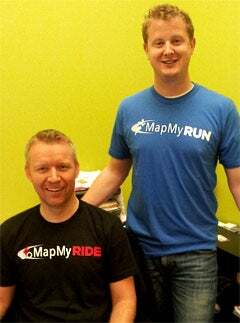 MapMyFITNESS co-founders Robin Thurston and Kevin Callahan, Photo credit, Target Brands Inc.
3. Think big. You have to think like a big brand to partner with one. For MapMyFITNESS, that means developing large-scale projects. "A big brand doesn't want to talk about a $10,000 project," Thurston says. "They want to talk in seven figures and really big user numbers." For example, Thurston and his partner proposed that big companies give away their product with subscriptions to the MapMyFITNESS website. The size of their user base--nearly seven million today--was large enough to interest brands like Procter & Gamble's Febreze. 4. Plan for fast growth. If you're growing too quickly to keep up with demand, you'll lose money--and probably your partner. Szaky learned that lesson through experience. "The more we grew, the more we lost," he says. While TerraCycle's sales reached $6.6 million in 2008, it had a net loss of $4.5 million. The next year, Szaky began developing agreements with companies to handle production for him. Today, 40 companies make and sell TerraCycle products for major retailers and TerraCycle turned a profit of $100,000 in the last year. Polka Dog Bakery, a Boston-based dog treat maker slated to expand into 1,763 Target stores this May, let the retailer oversee production and distribution in order to make the partnership feasible. "It would have been too much for us to expand at that capacity," says cofounder Robert Van Sickle of his 11-person company. 5. Prepare for scrutiny. Make sure your financial and legal affairs are in order. Since TerraCycle works with multinational companies, the company gets audited every two months. After failing the first few audits in his early partnerships, Szaky realized he needed to focus more on developing proper procedures. "If you are going to go down the path of working in big businesses, having your house in order is critical," he says. "You are going to get the growth but you are also going to get a lot more scrutiny." 6. Build on existing partnerships. Don't rush to find the next partner once you successfully link up with a big company. MapMyFITNESS gets a lot of new business from expanding existing partnerships, Thurston says. Companies are often more willing to consider developing a licensing partnership, for example, if they're already buying advertising on your website. "Too many entrepreneurs chase after the next client instead of recognizing the current client could mean a lot more revenue for them if they simply explore other revenue channels," Thurston says. Partnerships now account for a third of his company's total revenue.